Somerset Hills Historic Village Collection Welcomes #4 – the 1871 Washington House. 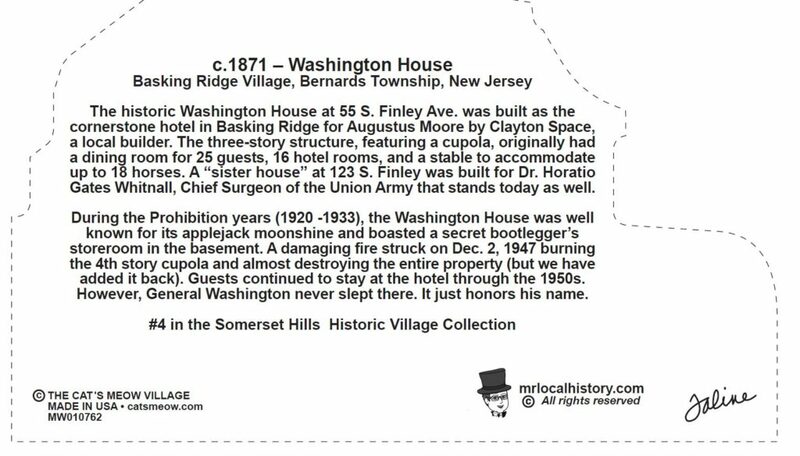 The iconic Washington House in Basking Ridge Village has a rich history going back to 1871. At almost 150 years of age, the grand hotel still serves the public today as a grand local restaurant. 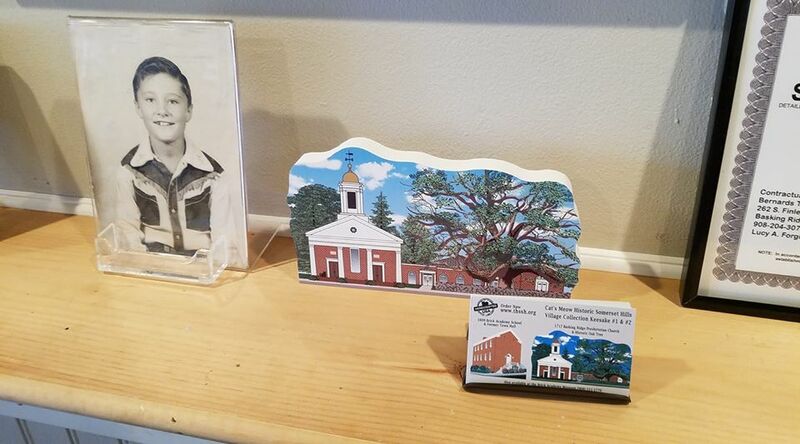 The painting shown will be painted on wood and made available now at the Mr. Local History Gift Shop. Congratulations – the community has voted and the winner is the 1871 Washington House in the Basking Ridge Village of Bernards Township. The voting was close but this is truly a worthy winner. 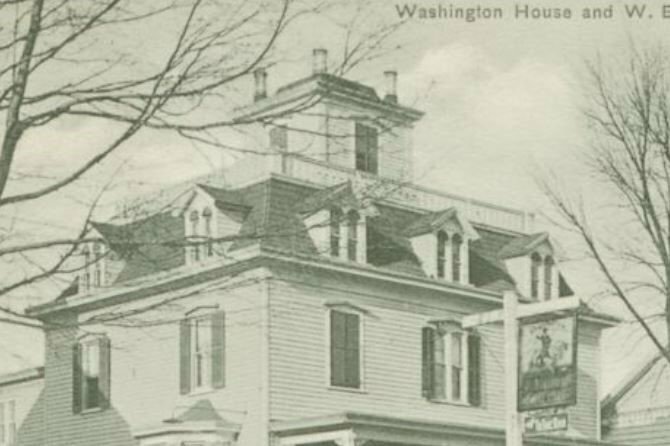 The Washington House c. 1911 shows its infamous cupola that was lost in a terrible fire in 1947. Our collectible recreates this iconic structure as the structure existed back in 1947. 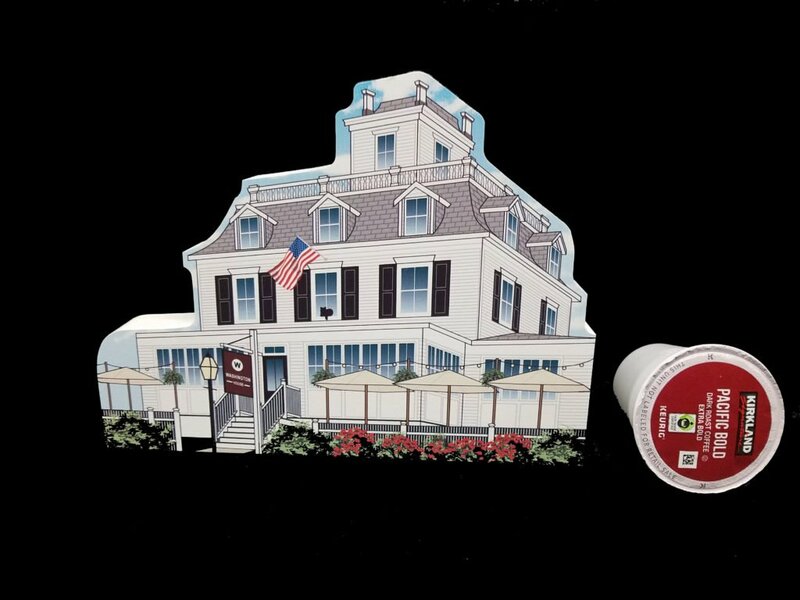 The back of the wood painted keepsake collectible – The 1871 Washington House Hotel and Restaurant in the Basking Ridge Village of Bernards Township. The Washington House Keepsake is a wooden collectible then painted with the historic Washington House and the classic Cat’s Meow black cat. “We’re in a position to now grow out the village and we can’t be more excited,” stated Mr. Local history himself! “I was amazed how much the public felt that this establishment was the one they voted for.” After months of gathering public feedback and voting, the committee decided on their choice that would be the best to grow the village. Make sure you either sign up to the email list or like/follow us on any of the major social media platforms. The Cat’s Meow is one of the worlds most iconic collectible series. 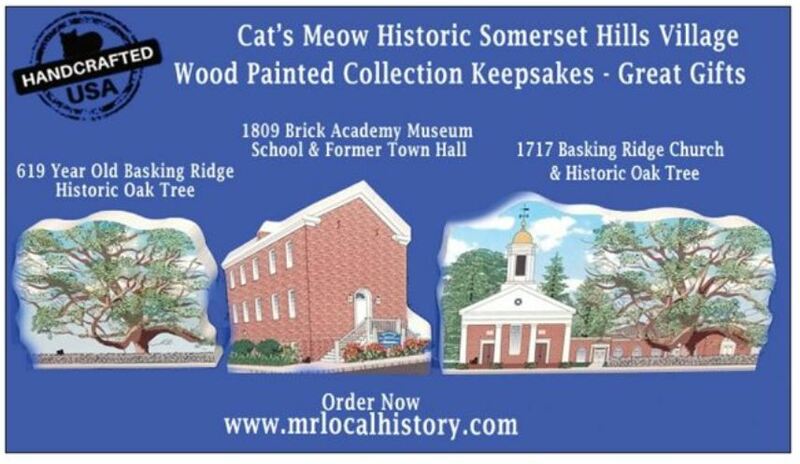 Mr. Local History started creating the Somerset Hills Historic Village back in 2018. Each year we launch new additions based on community input. 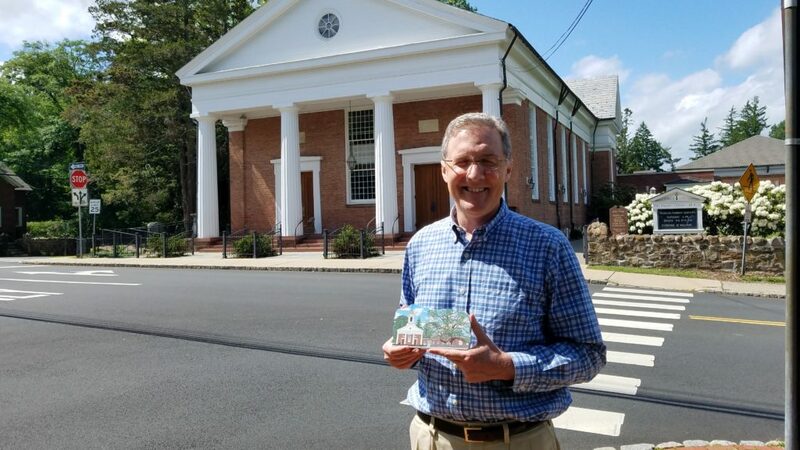 Reverend Dennis Jones standing outside his office with a gifted version of the Basking Ridge Presbyterian Church and the historic white oak tree of Basking Ridge. A new option is to have a small hole and a ribbon configured so you can hang your Cat’s Meow tree on the tree! simply select if you’d like the freestanding version or a hanging version at checkout. Click to pre-order yours today. A limited first edition run will be available in March 2019. The Cat’s Meow Village is a small company founded in Wooster, Ohio in 1982 from one simple wooden house Faline cutout on her grandfather’s saw in the loft of the hog barn. 35 years later, Jones with her crew continues to craft “little wooden buildings” of local, national, and international landmarks that spark memories and kindle smiles on the faces of “real life adventurers” like you. 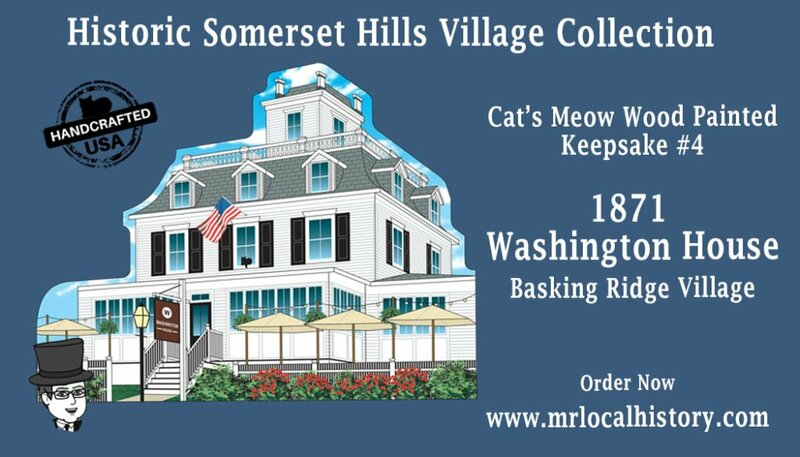 The Historic Somerset Hills Village is created by Mr. Local History and T3 Consortium ,LLC who then licenses out to various organizations for fundraising and promotional activities. 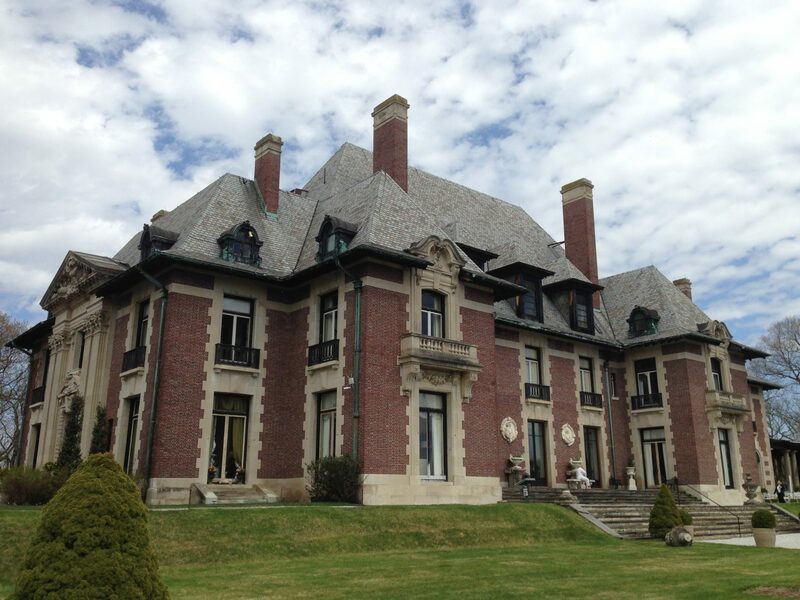 Nominate a Historic Site for Consideration. Has to be over 100 years old. Make sure you sign up for the news updates via email or watch on our social media pages.